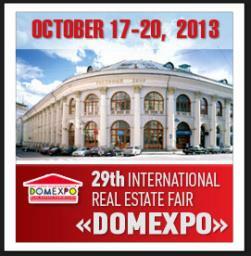 DOMEXPO gathers over 250 exhibiting companies from 40 countries under one roof. Full-scale, professional advertising campaign DOMEXPO is widely represented in Internet, print media, radio, television and outdoor advertising. An extensive business program is aimed at solving the problems on real estate market. Exhibiting at DOMEXPO gives you the opportunity to put your business in front of 8,000 - 12,000 visitors in the overseas property market. Showcase your company and projects with an eye-catching stand - the most effective way to find russian property buyers.